1. How can I get my daughter’s IEP Team to take my suggestions more seriously? 2. 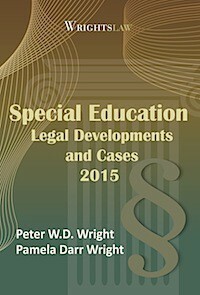 How can I develop a record for clients whose children need extensive accommodations? Essentially, IDEA 2004 requires the IEP team to formally and logically accept or reject any suggestions that a member of an IEP team makes. 34 C.F.R. § 300.503. And parents, we are members of the IEP team! PWN is a powerful tool when skillfully used. 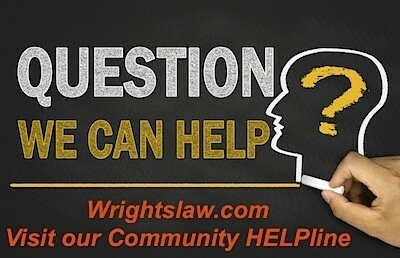 Of course, the first place I looked to answer my questions was Wrightslaw.com. A good article about Prior Written Notice (PWN) is How to Use a “Parent IEP Attachment” at https://www.wrightslaw.com/advoc/tips/bonnell.iep.attach.htm. I like the form created by Judy Bonnell and available on Wrightslaw. This is the type of form that I will use for my daughter’s next IEP meeting. I sensed with some clients, who require “big ticket” educational needs like private placement or a one-on-one paraprofessional, I needed a more extensive form to really get the IEP team’s attention and to develop the record for future action. Bringing out the PWN form is a show stopper. 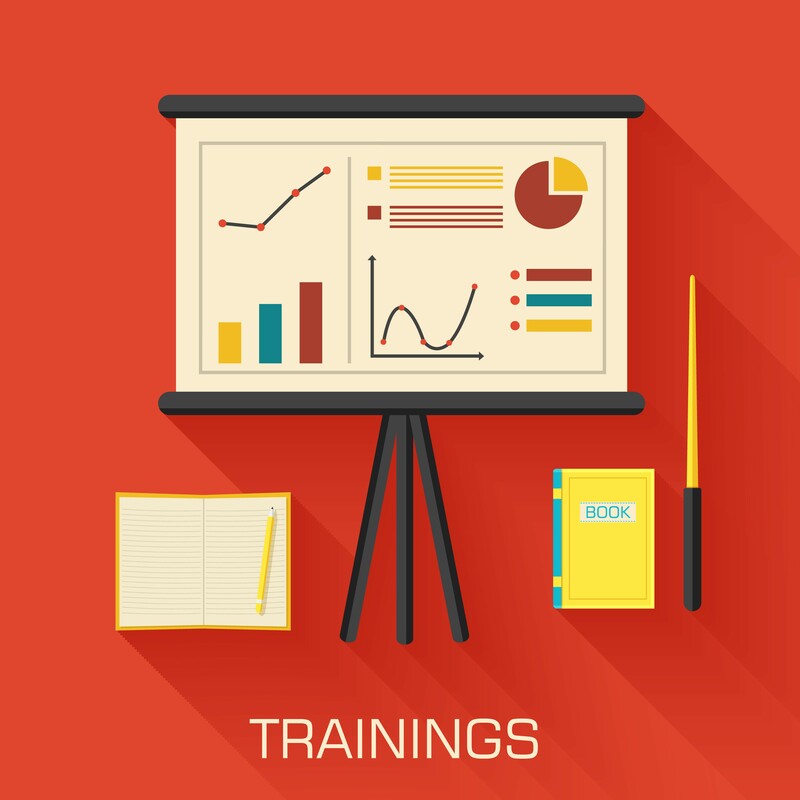 Saying “no” is too easy for some IEP teams. Articulating “an explanation of why the agency . . . refuses to take the action and a description of each evaluation procedure, assessment, record, or report the agency used as a basis for the . . . refused action” (20 U.S.C. 1415(c)) is tough. As an advocate, I can remain nice and let the law be the bad guy! Schools rarely say straight up that they are refusing a parental request, while “tabling” the request often means the same thing. This PWN form wisely includes refusing/tabling a request and requires an explanation of why the request was tabled and a date for the next consideration of the request. 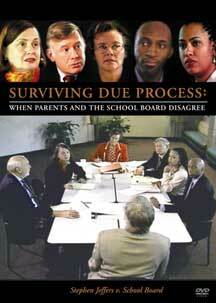 we have developed a record that can help in future IEP meetings, mediation, due process, or court. Download a copy of the PWN form in word or PDF format. 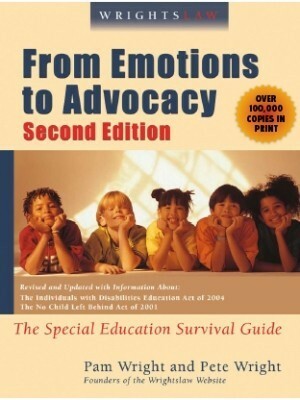 This entry was posted in Advocacy, IDEA 2004, IEPs, Letters, Parent Rights & Responsibilities, Strategies and tagged Parent IEP Attachment, Parental Rights, parental role, Prior Written Notice, PWN by Jeff Martin. Bookmark the permalink. Barbara In a case like this I would request an OT/PT assessment by the school to gather the latest information since it has been two years. By law you can request an assessment anytime, just put your request in writing. Be sure to get in quickly to sign the school’s paperwork to request the assessment or the clock will NOT start ticking for the time for the school to get the assessment done. If they refuse which I doubt they will you may request that they put that refusal in writing. AT that point you may send a letter to the school that you want to have the assessment done at public expense which is your right. They may at that point do the testing or they will give you a list of places you can have the test done. You don’t have to use these places. I signed our IEP 2 years ago, even though I disagreed with some of the evaluation findings. I decided to pursue the educational components and let the orthopedic impairments aspect be put on the back burner. Now I’m ready to pursue the OT/PT that was denied due to those evaluations. I made a table with quotes from the evaluation in one column and my response in the other. Can I have that made an attachment to my child’s IEP? Is there a better way to get what we want? 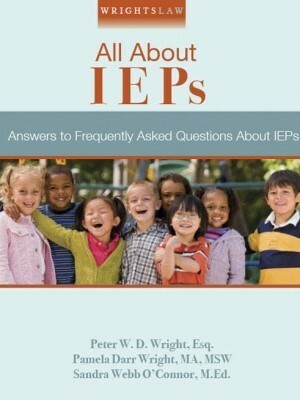 The school is correct that what you write will not change the IEP. For example, writing “Kate will receive an extra 30 minutes a day in Wilson reading” and signing the IEP will not give your daughter an extra 30 minutes of reading a day. That makes sense. The reason you add a short statement before signing is to build the record of what you disagree with and why. There is a PWN form here that is in Word format. I can send you a form without lines if you want to give me your email address. 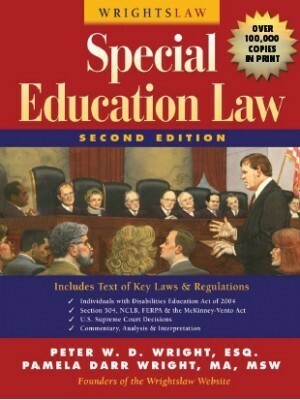 Jeff, This IEP is to be in effect from March 2010-March 2011. I have already written a draft of what I would put down by my name stating that I do not agree with it, but it clearly states that anything I write there has no bearing in what will happen for the life of the IEP. Also, can you recommend a site that has a blank PWN form on it? Thanks. 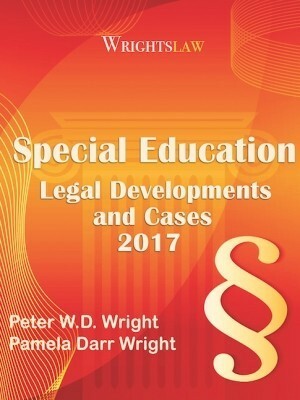 Pat Howey has a good article on how to sign an IEP you do not agree with at https://www.wrightslaw.com/howey/iep.sign.htm. 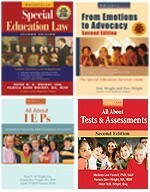 In terms of revising the IEP, check your state law. Virginia has a very low threshold: I can ask for an IEP meeting for almost any reason. Our Code only says that an IEP must meet at least once a year. Typically, new data from Children’s Hospital is a great excuse. 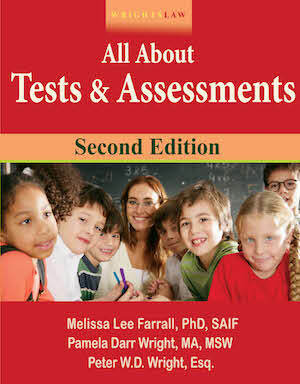 Is this an IEP for the current school year, or the next school year? I have a week left to sign/reject my daughter’s IEP. My concern is with the type of speech therapy they want to continue to provide her with. If I were to use the PWN, when would I do so? Do I sign the IEP first? Do we call a meeting about it? I am waiting for a report from a therapist at Children’s which will address my concerns, but it may not come before the IEP is due. Sorry for the late response. As Rose wrote, have your own PWN typed up. If the IEP team refuses to fill it out, just write a note on it: “The IEP team refused to give me PWN on Jan. 10, 2010.” Ask someone on the team to sign it. IF they won’t, you sign and file it in your papers. I would follow up with an email to the Special Ed coordinator asking for the same thing. Quick question – you mentioned a due process hearing for two children. How does that work? I ask, because we have 2 children as well that are special needs, and they go to the same school. They both have 1 major diagnosis in common, but it could be more. We aren’t finished have our younger child evaluated. So far, the same problems that we have experienced with the first son and the process have occurred with the second as well. The most concerning has been recent – 2 staff members (admin & para) engaged in mocking the oldest in front of him, but also referenced the younger by name and disability (thank goodness for the employee who witnessed, reported, and stood behind the statements made). OCR might be the best avenue for the above situation -tho we’re trying to pick our battles. Did your Due Process include both children? That is really interesting. We are in SC too, and PWN is something that first confused me, in the beginning months. We had a GREAT meeting yesterday (Hallelujah), but we also spent 100+ hours (literally) in preparation, had to bring our private people, and it was adjourned after 3.5 hrs to continue next month. I’m wondering what the humorous documents looked like….did they say Prior Written Notice on the top and the contents weren’t right? LINDA, You can request an IEE (Independent Educational Evaluation). Something else, I would look at my state’s eligibility criteria to see what DID (and the criteria a student would have to meet) have to be done in order for a student to qualify under a certain category. 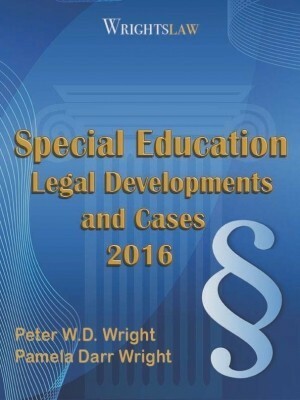 From your post, it sounds like you may be talking about a specific learning disability, if so it is complicated and I suggest three things….learn everything you can about your child’s suspected disability, read everything related to the suspected disability in IDEA 2004 by the Wrights and the same with the commentary of the federal regulations. Good luck, you can do this…make yourself an expert! I work with parents who do it every single day! We have just recently finished 2 due process hearings for our sons with Fragile X. They both had1:1 aides in school, but the teachers did not want them in the reg classes, and were determined to see them fail. We moved them to private schools, and the district took their aides away. We filed a complaint with State Ed, and the found in our favor, but the district would not budge. We won one due process and lost the other. The district appealed, we won again, and we have yet to see a 1:1 2 months later! For the case that we lost, the hearing officer stated that the CSE chair could overrule any decision made by the committee! So even tho the entire committee agreed that the 1:1 was necessary, the CSE chair was allowed to deny it, unless he returned to public school! We recently requested an evaluation for spec ed services…and finally had the eval done. Not all areas of disabiltiy were assessed as requested. WE had an advocate who informed us that though her scores are low, they are not low enough to qualify…. We have seen a drop in performance, a decrease in confidence…an increase in anxiety, etc. My son’s school District signed an agreement to pay for private tuition in exchange for parents dropping a formal complaint with the Office of Civil Rights. For some reason, they district provided Prior Written Notice that indicated that they were paying for private tuition due to my son’s “lack of progress”. At the time, my son was taking his courses via Virtual school, with my wife providing the one on one instruction outlined in the IEP, and he had a 4.12 GPA. In effect, they are saying that any child in special education in the district making less than a 97 average in honors courses is not “Making Progress” and the district feels that a private placement is in the best interest of the child. How can you argue with a district that offers such an air tight program that their students perform at 100% +/- 2%? In our school district in SC, PWN is only offered if a parent requests it. If parents are unaware of what it should look like, our school district offers some humorous documents that they consider to be PWN. We actually have in invitation for an IEP meeting in which the district was planning to “propose” a change in placement and move my son to another school. According to the fax line on the invitation, it was faxed from the “proposed” school. This means that his records had already been moved. We objected to the unilateral placement and his records were promptly returned to his home school within the week. According to the minutes that day, the SPED director denied that his records had been moved. The next line documents why she chose to move him to the other school. 1. Are you suggesting that a parent should hand the administrator a PWN denial form as soon as the administrator says “no,” and then ask that it be filled out immediately? 2. If the school fails to provide PWN within a reasonable time, would you simply re-request it, or would you recommend filing a state complaint? 3. What would you do with a PWN that basically says “see IEP” (as if the parent could somehow divine meaning out of the IEP to address the required info)? In preparation for your next meeting, if it were me, I would decide what you are asking for, write down the reason you are asking for whatever it is, and then type up whatever you are proposing using the form Jeff has linked above. Then just do what he says in his post. They’ll probably get all worked up, but but if they refuse, then you have one more piece of documentation along the path. A year ago, we requested several accommodations / modifications and held an IEP Amendment meeting. The school rejected all our requests. We received our PWNs two weeks later. The school had checked “Proposed” and described the alternatives they proposed and listed our requests as “other alternatives discussed.” At our IEP meeting at the end of the year, the school proposed to change placement and SOL testing (VAAP). We requested PWN via a letter, and we have not received it to this day. These were just two of dozens of violations of IDEA, NCLB, and ADA we were subjected to last year. How do we use such a Powerful Tool if the school will not even give us the PWN, even after we requested it?